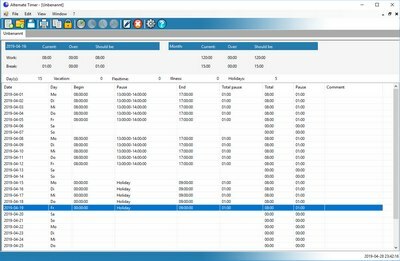 A program for managing/logging timings (daily work, internet usage etc.). To achieve this time-tables are created monthly. It is possible to use several time-tables per month and to combine time-tables to an overview-table (E.g. for a year). The program may also calculate a salary into those time-tables.